Eddie Brock's childhood trauma reveals a key Venom trait in 'Venom' #10 – AiPT! 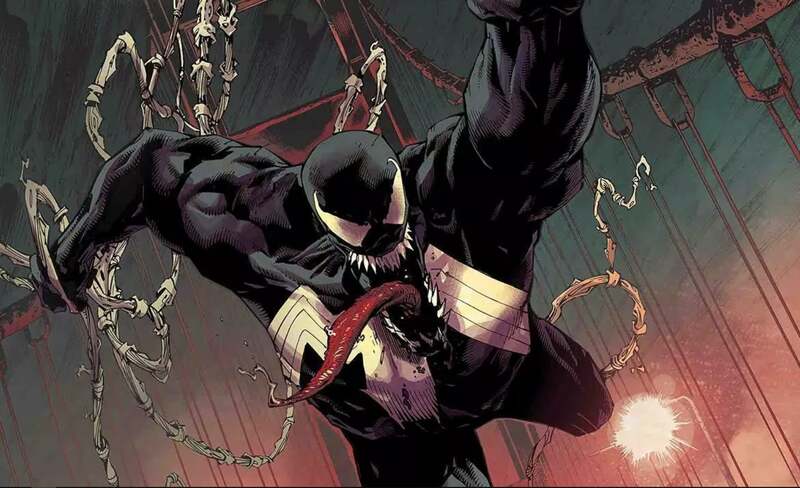 Venom’s obsession with innocence explained in Venom #10 — and it’s traumatic. There’s no doubt Donny Cates and Ryan Stegman are producing one of the most enlightening Venom series ever to be put to paper. The series has developed not only the Symbiote’s backstory, but Eddie Brock’s as well. In the latest story arc, Eddie is back home in San Francisco, and just last issue he’s learned he has a little brother. Last week via Venom #10’s preview, we found out Eddie’s brother is asking him about his “thing for innocents”. This comes up inadvertently later and Cates does a great job masking the meaning. In a scene that has been foreshadowed in a previous issue, we see a boy running across the street, about to be hit by a car. You might be under the impression the father is screaming the little boy’s name. Then things get pretty horrific. We soon learn it’s not the little boy that is named Eddie, but the driver. Eddie is the person who just killed a kid. And he was drunk. This traumatic event gets even worse when his father forces him to plead not guilty in court. Eddie wants to admit his guilt and serve his time, but the father can’t have his family name tarnished. And it is in this moment of trauma we learn why Eddie Brock is so obsessed with saving the innocent as Venom later in his life. That’s only part of the story and I recommend reading the whole issue. You can buy it digitally today.